"1979 saw the release of the revolutionary science fiction project that compelled producer Walter Hill to bring in director Ridley Scott: Alien, which was Scott’s second feature film. And the seamless intersection of a workaday future and horror as designed by Swiss artist H.R. Giger—the creator of the constantly evolving title creature—will be the second film in Film Independent at LACMA’s Bring the Noise series, where musicians play a live original score to a favorite film of their choosing. 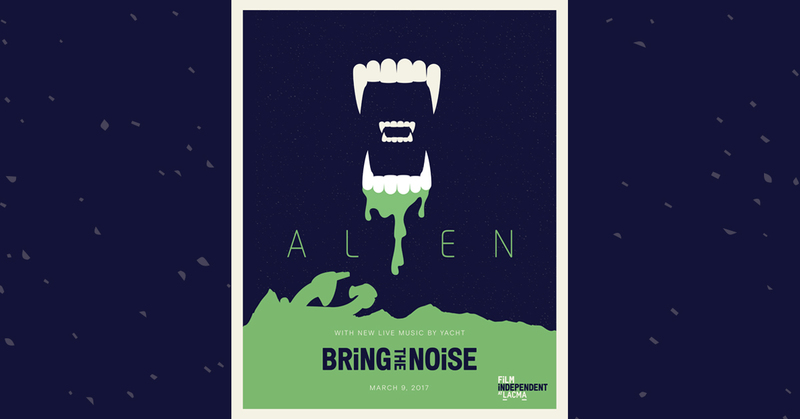 For a film as innovative and memorable as Alien, there is no better band to provide unique and personal accompaniment than electro/dance pop masters YACHT, with Jona Bechtolt, Rob Kieswetter, & Claire L. Evans."